What do you think of when you hear the name Canterbury? Perhaps Chaucer’s Canterbury Tales comes to mind. How about St. Augustine or Archbishop Thomas Becket who was murdered at the cathedral, or even Joseph Conrad who is buried in one of the city’s cemeteries. Suffice it to say that Canterbury has a lot of history associated with it, and as with most of England, incidents occurred during WWII. 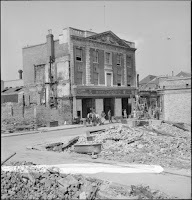 By May, 1941 the eight month Blitz of London had finally ceased. Having realized the British were not going to cower, no matter how many bombs were dropped on them, the Germans switched their focus to invading the Soviet Union, with periodic “hit and run” raids on England’s coastal towns. The night raids the British were conducting were determined to have been mostly ineffective, so those came to halt as the Allies reconsidered their strategies. 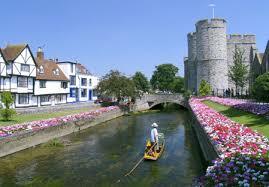 Canterbury was one of the coastal towns that suffered from bombing attacks. Located on the River Stour, it is about sixty miles southeast of London and has been inhabited since prehistoric times. As a result of the destruction of the German towns of Lubeck and Rostock, Hitler was furious and ordered retaliatory attacks. The targets were selected to have the greatest possible effect on civilians. Just after midnight on June 1, 1942, the Germans dropped over 10,000 incendiary bombs. This kind of fire bomb caused more damage than explosive bombs because of the intense blazes that start when the land. In short order, the city was a conflagration, and over 700 homes and nearly 300 other buildings, including the bus depot, three churches and two schools, were destroyed. Reports indicate that 115 people perished. 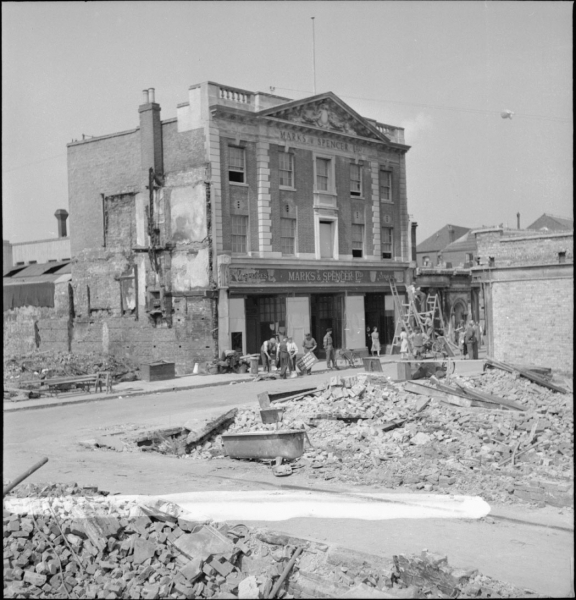 Canterbury was hit again on June 6 and 7 resulting in another forty-five deaths. Raids of this type continued well into 1944 when the Germans once again turned their sights to London.